Approximately 54% of the UK’s population lives in cities. This figure isn’t reflected in the nation’s cinema, however, which suggests that 54% of Britons live in corsets in the past. Despite filmgoers’ continuing predilection for country estates and a time before the invention of domestic refrigerators or the pyramid teabag, cities have been vividly portrayed on screen since the Edwardian era. In anticipation of the BFI’s ambitious, two year long Britain on Film project, we picked ten films to individually represent some of Britain’s biggest cities. The energetic, strikingly confident debut of writer-director Sally El Hosaini, My Brother the Devil is a crime drama about a pair of brothers living with their Egyptian immigrant parents in one of Hackney’s many low-income housing estates. Rashid (James Floyd) deals drugs as part of a local gang, becoming increasingly uneasy that his impressionable younger brother Mo (Fady Elsayed) wants to abandon his studies to join him. WHY WE CHOSE IT: The old cliché that American films set in London will feature at least one double decker crossing Westminster Bridge rings true, but even the romcom confections of Richard Curtis and his many imitators depict a place that only exists in the imagination. By contrast, the London of My Brother the Devil is a city that people actually live in – unglamorous, difficult and alive. Despite her film dealing with the effects of gang culture, and its crisp cinematography from David Raedeker, El Hosaini commendably avoids the fetishization of crime that has afflicted cinema ever since the 1903 silent film The Great Train Robbery. Tracing the rise and fall of Factory Records – home of bands including Joy Division, New Order and Happy Mondays – 24 Hour Party People is both a vibrant account of an incredibly influential music scene and a compelling character study of the company’s co-founder Tony Wilson (Steve Coogan). 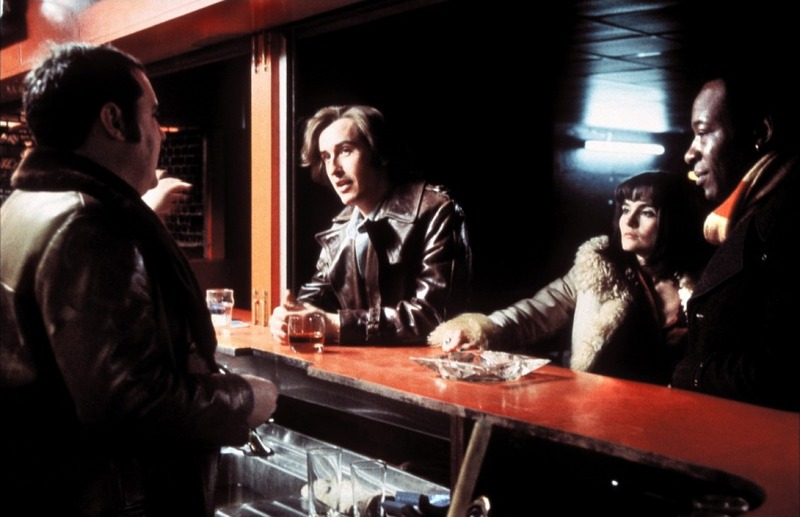 Buoyed by his ensemble cast, a career-best performance from Coogan and Frank Cottrell-Boyce’s dizzying screenplay, director Michael Winterbottom pulls together a film that at every single moment reverberates with life. 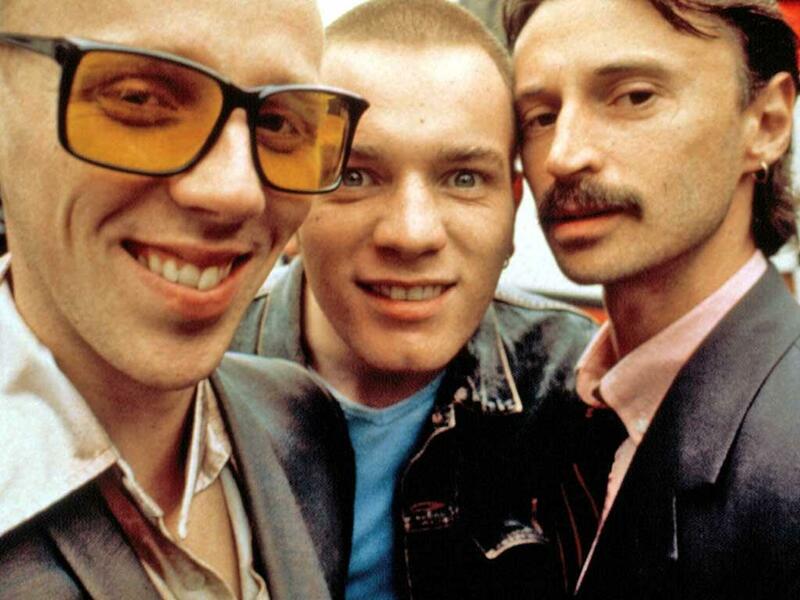 Trainspotting was absorbed into popular culture so thoroughly that it’s impossible to view now without also accommodating the memory of its countless subsequent parodies, but nearly two decades later it remains a blood-pumping, skin-bristling, eye-dilating rush. Aggressively veering away from the commonplace shortbread tin depiction of Edinburgh, the film looks at a group of heroin addicts living in poverty and squalor. Despite its famous numbered multi-character poster, the focus is largely on Renton (Ewan McGregor) and his various doomed attempts to quit the habit that gives meaning to his depressed life. WHY WE CHOSE IT: While Annie Griffin’s Festival, a fictional approximation of the Fringe, is a faithful rendering of the most important annual cultural event in the city, there is only one contender for a truly iconic cinematic moment set in Edinburgh: Trainspotting’s propulsive opening sequence, where Ewen Bremner and an unreasonably handsome McGregor fly down Princes Street to the irresistible drumbeat of Lust for Life. Writer-director Andrea Arnold’s arresting debut is a murky thriller about a CCTV operator called Jackie (Kate Dickie), who monitors the Red Road housing complex in the northeast of Glasgow – a collection of high-rise towers notorious for their anti-social crime and ominous appearance. Shot almost wholly with natural light and handheld cameras, Arnold’s film follows Jackie as she starts stalking a man she recognises on one of her screens. WHY WE CHOSE IT: An impressive number of the finest British films of the past 15 years have come from Glasgow, many of them dark, miserable and beautiful. Out of this bounty Red Road distinguishes itself by the way it depicts the city as isolating, loveless and concrete, diffracted through a bank of CCTV screens. As well as exacerbating the emotional state of the dispassionate, numb Jackie, the voyeurism of her job raises unsettling questions about a society so acquiescent about being continually under surveillance. To date, Michael Sheen has starred in five projects written by Peter Morgan. The best of these is perhaps the most unappreciated: elevated by another of Sheen’s note-perfect performances, The Damned United documents the 44 abominable days that football manager Brian Clough spent in charge of Leeds United, fighting with his bosses and players. The visual flourishes of Tom Hooper that would become overwhelming in his later films don’t manage to sink a fascinating portrayal of a charismatic, brilliant man doing a job he couldn’t be less well suited for. 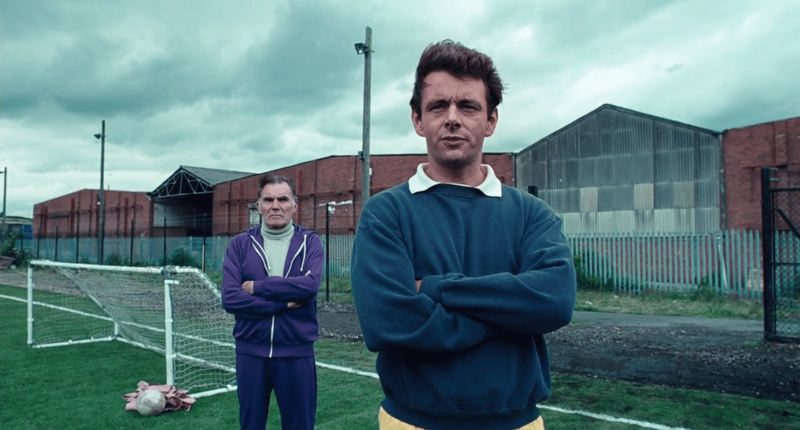 Contemporary Leeds has been largely ill-served by British cinema, but The Damned United recreates the dowdy 1970s Leeds footballing world so vividly that you almost feel like you should be wearing a tracksuit and resenting Brian Clough for calling you a dirty beggar. Story heavy, high-concept rock operas of the sort that occupied The Who in the second phase of their career generally don’t translate successfully to film, their use of simplistic narratives, broad archetypes and overblown symbolism rendered silly in real life. Although it hasn’t aged terribly well, Quadropheniaavoids this fate to an extent by opting to be a straight drama rather than a musical. Beneath the tired imagery of scooters, roundels and oversized green coats is a heartfelt story about the distinct adolescent joy of finding a group with which to align oneself. For Jimmy Cooper (Phil Daniels), a disenfranchised post room boy with a passion for The Who and amphetamines, this means the mods. His passion for the subculture leads him to leave London for the bank holiday weekend to visit Brighton, much like the generations of young people to follow. 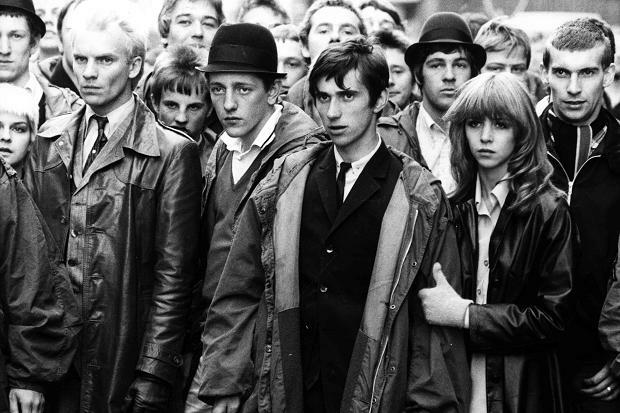 WHY WE CHOSE IT: From a London resident’s point of view, Quadrophenia represents the promise and excitement of a brief escape to East Sussex. For a Brightonian, it demonstrates how Londoners are always coming to cause trouble. Adapted by David Nicholls from his own novel, Starter for 10 is an 80s-set comedy about a working class student Brian Jackson (James McAvoy) trying to survive his first year away from home, navigate his increasingly complicated romantic life and excel on his University Challenge team. While the film is relatively lightweight, it explores interesting territory by looking at issues of social class within the university experience. WHY WE CHOSE IT: In 1908, Wyndham Halswelle won the 400m Olympic gold. It would have been embarrassing if he didn’t: due to a disqualification and protests, he was the only runner competing. In this sense Starter for 10 is the Wyndham Halswelle of films set in Bristol: even though it’s running a spirited race, it does so entirely without competition. Portraying the experience of the generation of Indian immigrants who travelled to Britain in late 50s and 60s, A Private Enterprise is generally regarded as the first British-Asian film. It follows Shiv Verma (Salmaan Peer), an engineer who wishes to start his own workshop and comes into disagreement with those around him for his entrepreneurial, individualistic aspirations. 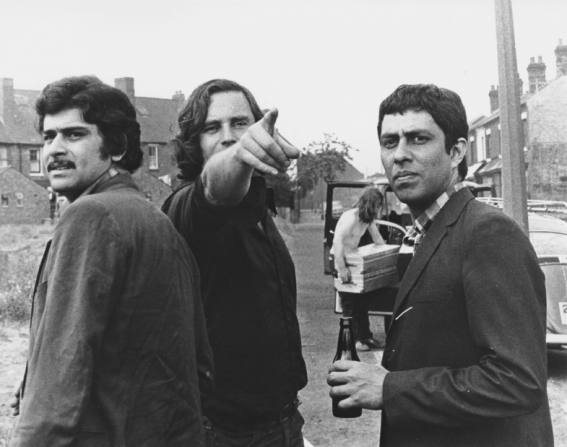 WHY WE CHOSE IT: A Private Enterprise has sadly lapsed into near obscurity, which is disappointing considering the pioneering film’s value as a social document of British Asians and industrial Birmingham in the mid-70s. The visual artist Sam Taylor-Johnson (then known as Sam Taylor-Wood) made her feature film debut with Nowhere Boy, an intimate and understated drama about the difficult adolescence of John Lennon (Aaron Johnson). Even though the film covers the early days of Lennon’s career as he progresses from his first band The Quarrymen to forming The Beatles, Matt Greenhalgh’s script is more interested in Lennon’s relationship with his Aunt Mimi (Kristin Scott-Thomas) and his troubled mother Julia (Anne-Marie Duff). WHY WE CHOSE IT: Liverpool’s storied history as a port city has national importance, but its defining story is always going to concern the most culturally significant artists in the history of popular music. The Beatles’ seminal first feature A Hard Day’s Night far outstrips any biographical films made about them, but is set in London, director Richard Lester giddily capturing the group after their unprecedented popularity had expanded their horizons beyond Merseyside. 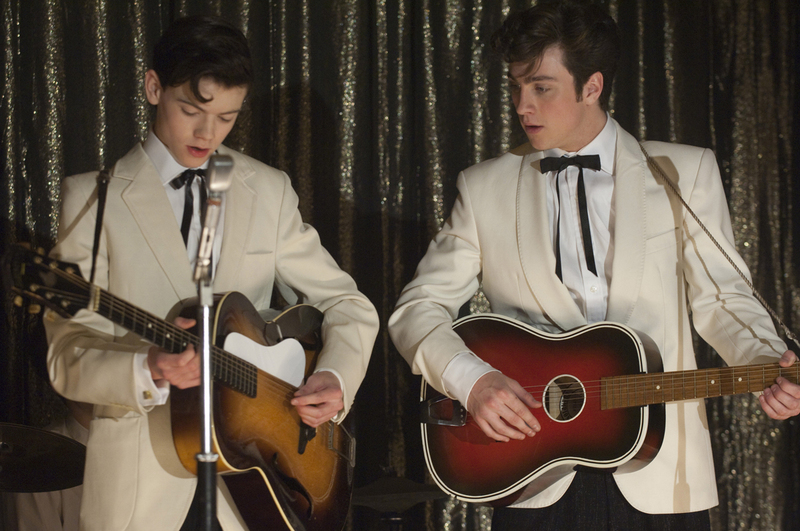 Nowhere Boy never even makes it as far as Hamburg, focusing instead on the time when Liverpool had its biggest influence on Lennon.